Some 19 million people visit London every year, and it is fair to say that the majority of them stay in one of the many famous – and not so famous – hotels. However, there is an alternative of which not everyone is aware and that is that you can rent serviced apartments in Mayfair on a short or long term basis. Whether you are staying for a week or for six months, you can stay in your “own” apartment rather than being cooped up in a hotel room along with several hundred other people. 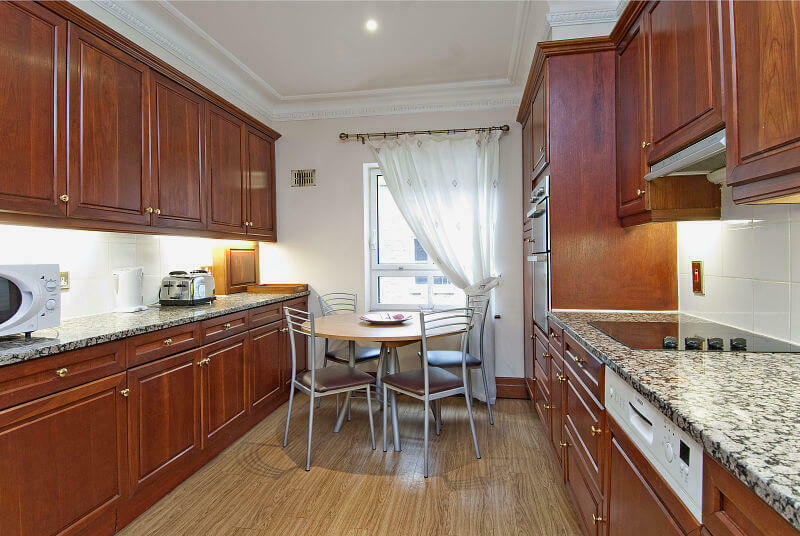 Carlton Court is situated in Down Street, which is just off Piccadilly and comprises some five apartments which can sleep from two to six people. There is a one bedroom penthouse, another one bedroom flat, two x two bedroom apartments, and a three bedroom apartment which can sleep five or six people. Carlton Court has a 24-hour concierge and security service and a full 7-day housekeeping and maid service. Our staff speak several different languages including French, Russian, Japanese, and Arabic. Each apartment has been furnished by the owners as though they were going to live there themselves, so no expense has been spared, and the apartments are the last word in luxury. All the beds are king sized, and there is plenty of cupboard space for storage. Every room is supplied with the latest Sky HD TV with access to many different channels in a multitude of languages. The apartments have a music system, and each has an iPad/iPod dock, together with high speed broadband as standard. The apartments have state-of-the-art fully fitted kitchens with dishwasher, washing machine and dryer so that you can do your own laundry as you would at home. All the apartments also have air conditioning and underfloor heating. Carlton Court gets your day off to a good start by supplying you with a breakfast hamper with cereals, fruits, teas, coffees, juices, fresh milk, fresh bread, pastries, preserves, and fresh eggs. At Carlton Court you live in the lap of luxury and everything in included in the bills. The only extra would be for your direct dial telephone for which we supply an itemised bill if you have used it.